Empowering families to achieve true healing. 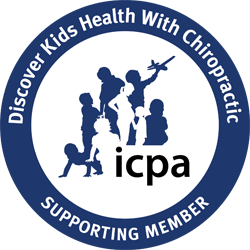 Chiropractic care for children is safe, gentle, and effective. Chiropractic care during pregnancy is beneficial for mom and her growing baby. Find the simplest way of eating that doesn’t take you away from enjoying life. Sometimes the answer to the most complex problems is a simple one. Sozo is a Greek word that means saves, heals, and makes whole. Our passion is to encourage, educate, and empower others to live a healthy lifestyle. Our central Ohio offices provide comprehensive chiropractic care tailored to your needs that is safe and gentle for your entire family, with specialties in pregnancy, pediatrics, functional neurology, and functional medicine. We are YOUR Hilliard chiropractors. What sets us apart from other offices is that we look at all areas of health and wellness beyond the physical, anatomical, body. We work with the nervous system through chiropractic adjustments and functional activities, as well as lifestyle and nutritional changes to help with sleep, stress, and relationships. Starting with the basics allows us to offer a COST-EFFECTIVE and FUN approach to improving you and your family’s well-being, without imposing unnecessary tests and costs. We partner with you in health to help you achieve your personal goals. It has been a long-time dream of ours to be working together to help families of all ages and walks of life find true health and healing. We look forward to getting to know your family and caring for you throughout all seasons of life!